This article is part of our Android 7.0 Nougat Feature Spotlights series. Patience is a virtue, and it's one that Google seems to value greatly. Just a few hours ago, Google released the preview images for Android N with the promise that future updates would come over-the-air through its new Android Beta program, but they forgot to mention that it didn't apply to anyone who manually flashed the images. Tucked away in the Android Beta page, Google notes that "if you manually flashed Android N on your device by downloading the image from developer.android.com you won't receive OTA updates automatically." I'm sure that everyone who already flashed the update in the last three hours would really have appreciated knowing that before updating to Android N.
Future updates will come every 4 to 6 weeks, and flashers will have to continue flashing to upgrade to new versions. For everyone else, the updates will be delivered to your device as an OTA update within 24 hours of its release. 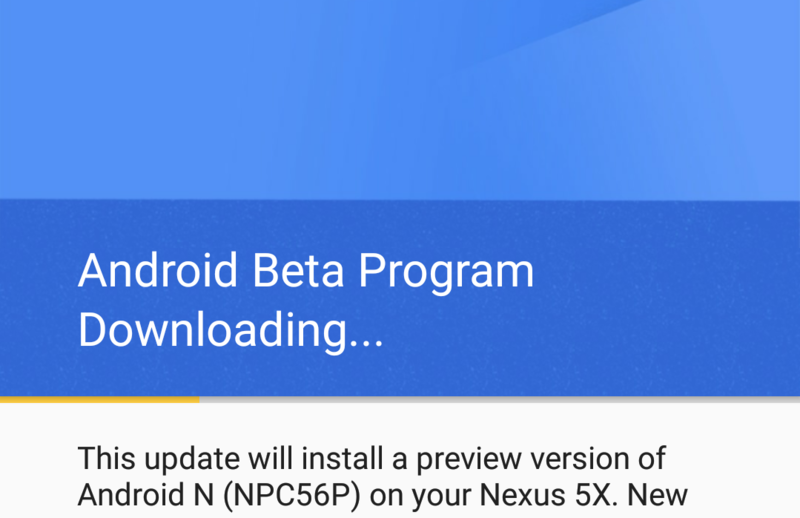 If you've already flashed the Android N preview image, the only way to jump back aboard the OTA bandwagon is to manually flash back to Marshmallow (and wipe user data) and sign up for Android Beta after that. Personally, I appreciate the option of never having to connect my phone to my laptop with a USB cable ever again. The future is here and it's wireless. Unless you own a device that doesn't support wireless charging, that is. There's a note on the Android N Preview downloads page warning users that flashing the system image will prevent their device from receiving OTA updates. We're not sure if it was added after the Android Beta page went up or if we just didn't notice it before, but whatever the case, it's certainly there now. Note: If you manually install a preview system image on a device, that device will not receive additional over-the-air updates (either production or preview). If you want to update a device with a new preview system image, you must perform another manual installation. Okay, Google has now confirmed that you can get OTAs after flashing the system image. You just have to join the beta after. The original warning just wasn't worded very well.